The asymmetric implementation is unusual enough to warrant a closeup focus on Horizontal Loop Hook Construction Details. The combination of waterfall configuration and asymentic overlap is a great solution for flat Doilley merchandising. Look close to see the addition of a curled end for added safety. 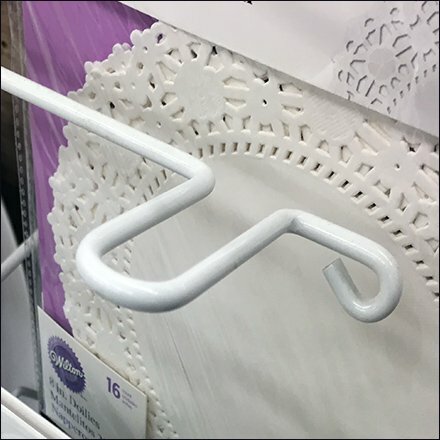 These Horizontal Loop Hook Construction Details courtesy of JoAnn Fabric and Crafts. “Asymmetric Pinterest Board” for a visual summary. “Asymmetric Index Page” for all resources and links.